When it came out a few weeks ago, Chanel’s Perfection Lumiere Velvet both stunned and divided the online beauty world. Most bloggers were shocked that Chanel would launch a new foundation with so little notice and modest fanfare. When the product made its way to counters, however, it seemed the foundation was more divisive than previous releases from the brand. How does it compare to other Chanel foundations? In many ways, Chanel Perfection Lumiere Velvet is meant to be a counterpoint to the brand’s much beloved Vitalumiere Aqua foundation. Both products promise a skin-like light to medium coverage that is virtually weightless on the skin. The real difference between the products is their finish. Vitalumiere Aqua leaves a luminous dewey finish on the skin whereas, true to its name, Perfection Lumiere Velvet dries down to a satin-like velvet matte finish. When you swatch both foundations, the first thing you will notice is that Perfection Lumiere Velvet is more watery in consistency than Vitalumiere Aqua; interestingly, the viscosity of these foundations seems to run counter to their staying power. The thicker Vitalumiere Aqua was formulated with dry to normal skin types in mind but is notorious for its short wear time. Conversely, the water-like Perfection Lumiere Velvet was formulated for combination oily skins and has a strong eight plus hour wear time. What is my impression of the product? I have been using Perfection Lumiere Velvet for three weeks straight and have been impressed both by its coverage and its lasting power. I have oily combination skin and I often struggle with makeup meltdown during my long workdays, even when I am wearing silicone-based primers. Perfection Lumiere Velvet is the only foundation I have ever used that will last an entire workday without breaking down, even on twelve hour days. If I am having a “good face day” or I am not bothered about covering ever imperfection, I can even get away without wearing concealer because the product provides fantastic coverage and seems to blur imperfections. 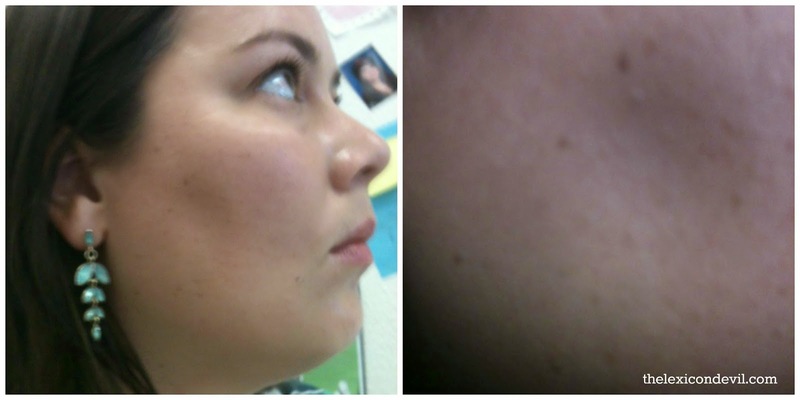 Even with this great coverage I am still able to see my freckles through the makeup and my skin looks like skin, just perfected. Dare I say, this foundation is Holy Grail material? But with a $45 price tag I would expect the product to be this game changing! Like its name implies, the product dries down to a velvet matte finish that doesn’t leave your face looking cakey or dry. Instead, the foundation leaves the skin with a healthy sheen while keeping oiliness at bay. 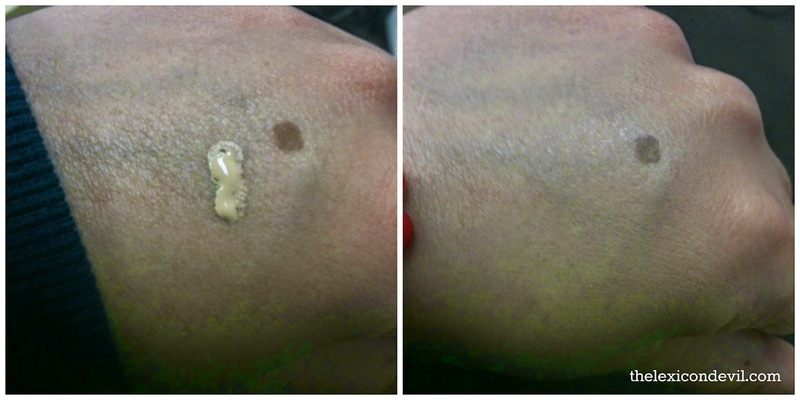 Truly, a non-oily luminescence is something this greasy gal never thought she would see . . . but see it I have! It is important to note that this foundation dries down to a velvety matte finish and has many of the same draw backs that other matte foundations have. The product has a tendency to cling to dry patches on the skin and takes on a powdery consistency as it is blending into the skin. Even on my oily skin it can cling to healing blemishes or chlorine dried patches; I always make sure to moisturize properly and let the moisturizer sink in before I apply the foundation. If you apply the foundation with your fingers, as Chanel recommends with their water-based foundations, this powdery finish can begin to feel like cornstarch; I prefer to dot the product on my face with my fingers and then blend it in with a stippling brush. 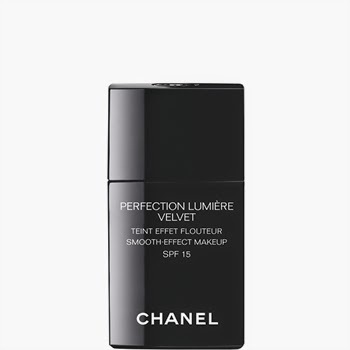 Like all Chanel foundations, Perfection Lumiere Velvet is heavily scented. If your skin is very sensitive you may want to either give this product a miss or apply a primer before you use it. That being said, my skin is SUPER sensitive and I haven’t had a single allergic issue since I started using Perfection Lumiere Velvet. It is also important to know that the Beige tones in the line are more yellow in tone while the Beige Rose tones are predictably pinker. Significantly, Perfection Lumiere Velvet follows the traditional Chanel shade spectrum, so if you know your color in one Chanel foundation you will quickly be able to match yourself to your color in this foundation. As a point of reference, I have a cool skin tone and wear Beige 20 to cancel out some of the high redness in my skin; in MAC I wear an NC20 again to cancel out the ruddiness in my complexion. There are nine shades in the line that cater more towards fair to medium skin tone; as such, if you are very fair or have a deep complexion you may struggle to find a color match. If you have oily skin and struggle with makeup lasting on your face, this product is for you. The foundation leaves the skin looking healthy and luminous while helping to keep oil production in check. If you can bite the bullet and part with $45, Perfection Lumiere Velvet is worth every penny.